extend the Working Journalists Health Scheme for the Financial Year 2018-2019 as per G.o.No:40/AP Implementation Comprehensive Health Coverage of health insurance scheme for the Working Journalists as per G.o.No:40,Dated:18/04/2018/Dr.NTRVS Health Coverage of health insurance scheme for the Working Journalists Extension Financial Year 2018-2019 as per G.o.No:40. 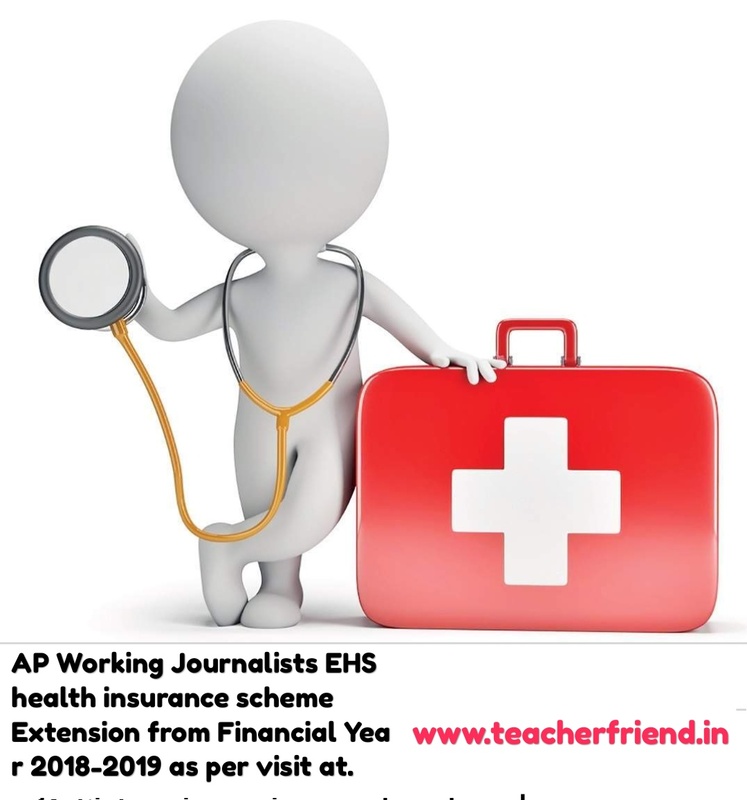 AP Implementation Comprehensive Health Coverage of health insurance scheme for the Working Journalists Extension Financial Year 2018-2019 as per G.o.No:40, Dated : 18/04/2018. In the G.o read above, the State of Andhra Pradesh have issued orders for implementation of Group Mediaim polity, as health insurance scheme for the Working Journalists. In the Go 2nd read above, Government have extend the Working Journalists Health Scheme till the Financial Year 2017-2018. Comprehensive Health Coverage of health insurance scheme Extension from Financial Year 2018-2019. In the letter 5th read above, the Commissioner , I&PR, AP, Vijayawada has requested the Government to extend the Working Journalists Health Scheme for the Financial Year 2018-2019. Government after careful examination, hereby extend the Working Journalists Health Scheme for the Financial Year 2018-2019 as specified in point No. (c) of para V in the 2nd read above. The Chief Executive Officer, Dr.NTRVS Trust, AP and the Commissioner, Information & Public Relations Department, AP, Vijayawada shall take further necessary action in the matter. This order issues with the concurrence of the Finance Department vide their U.0 No 37027/39/FMU-GAD.I1/2018, Dated 10.04.2018.